Do you have a coaching philosophy? You probably do, even if you’ve never actually sat and thought about what it is. But doing just that - developing and understanding your own coaching philosophy - is one of the most worthwhile exercises you can undertake as a coach. Your coaching philosophy provides you with a reference point with which to make consistent decisions. It allows for a better understanding of yourself and where your gaps lie. It acknowledges where you want to go and what success means to you. Your coaching philosophy, who you are and how you teach is EVERYTHING. So, for today, I encourage you to put down your kitbag, clipboard and whistle, close the tab with the Ultimate game you are reviewing, and instead grab a pen and paper and start to look within. A good coaching philosophy starts by being part of a community of coaches who can mentor and support you. Most of my thoughts on developing a coaching philosophy have come from the people who guided me through the process. Anna Rogacki of Walker Coaching had a large role to play in helping me think about and understand the type coach I want to be. As Head Coach of the 2013 silver medal team, Anna supported me as an assistant coach for the Australian World Games campaign this year. Enthusiasm for growth and improvement is a crucial part of my coaching philosophy, something I learned from working with Anna. In addition to finding a supportive mentor in the ultimate community, seek out ways to learn from coaches outside of ultimate. I have been privileged to be involved in coaching education through the Australian Football League Coaching Conference. Through that experience I have been exposed to many different ways of doing things. Especially how coaches try to build resilience and mental focus. In particular, I’ve enjoyed learning from AFL coach educators Lawrie Woodman, Stan Alves and David Parkin over the past year; many of the ideas below stem from their work. A coaching philosophy is a set of values and principles that guide your actions as a coach. Your coaching philosophy is not static; it will change and evolve throughout your coaching career (which is one reason is it important to stop and take stock of your philosophy from time to time). Your coaching philosophy is influenced by your own experiences as a coach, player, and teammate. It is influenced by your non-ultimate experiences with friends and family, your work and career experiences, your own personality traits - pretty much everything you have ever experienced will play a part in the way you coach! So, you already have a coaching philosophy, but you probably haven’t reflected much on what it is or how it should guide the choices you make as a coach. The first step towards achieving that goal is to reflect on your experiences and why you coach. Take time think about these questions for an hour or a day, and write out your thoughts. Your answers to these questions will go a long way to better understanding yourself as a coach. What is coaching and why do I believe that? Why are my players participating? Are they my players or am I their coach? Who holds the power - coach or athlete? What do you stand for as a coach? Did you ever have a coach that you admired? Someone that you would like to model behaviours from? What are those behaviours? What was special about this coach? Is the opposite true? Were you coached by someone that you don’t want to emulate? What coach DON’T you want to be? Depending on the types of teams you coach, you will find that some coaching topics are more or less important to your philosophy. For example, if you coach a youth team then you probably should think about your philosophy on handling athlete-parent conflicts. If you are coaching a grandmaster’s teams, this is hopefully not an issue that comes up! Below are some areas to consider when developing your philosophy. Outline a few quick thoughts on each category. Remember that you can revisit your thoughts at any time, just get some ideas down on paper today. Your last activity (for today!) 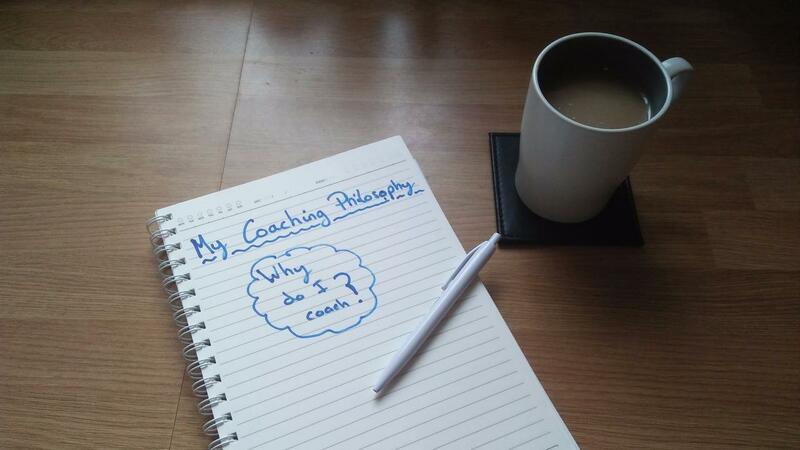 is to make a first attempt at putting your ultimate coaching philosophy in writing. Try starting sentences with phrases like, “I believe that…” or “I am committed to…”. Your coaching statement should be short - more like a brief mission statement than a long declaration - and should reflect the essential elements of your coaching values and processes. Remember, this statement is never “done”; it is a living document that can be revised and changed whenever you feel like doing so. I keep my coaching philosophy in a place where I will see it, and reflect on it, often. I hope that these exercises provide you with some ideas for clarifying the foundation for your coaching. For more on this topic, I recommend you head over to Coach John Wooden’s fantastic website and discover his pyramid of success. I wish you all the best in further developing your coaching philosophy as well as for your coaching career. I look forward to seeing you on the fields! Note from Melissa: If you're looking for mentors and a community of coaches, check out our URCA Classroom. We'll be discussing our coaching philosophy throughout the month of November. The URCA Classroom includes access to our vast library of presentations. Learn how to teach skills and tactics from some of the best ultimate coaches in the world.